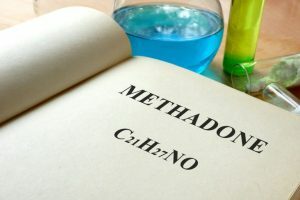 Methadone is a prescribed drug used to treat intense pain and is a synthetic opioid agonist medication that is used to relieve addiction to opioid drugs, such as heroin. It can block the effects of illicit opioids and has a long history of use in the treatment of opioid dependence in adults. While it is a useful medication, it has tremendous potential for abuse and methadone addiction. Research has shown that methadone maintenance is more effective at helping people get off drugs when it includes rehab counselling. This includes counselling for the whole family, medication to treat any underlying psychological issues, and support groups. If you suffer from methadone addiction, there is hope; treating addiction can be successful, and maintenance of your recovery is achievable. If you choose a rehab with Detoxplus, they will use a number of highly effective, evidence-based treatments, conducive to long-term recovery from methadone addiction. The withdrawal process with methadone is slow. Withdrawal symptoms usually reaching their highest point about 24 to 36 hours from the last time the user got high off methadone. Severe methadone withdrawal can last for up to three weeks, but symptoms considerable become better after ten days. During the first ten days of rehab, patients will suffer flu-like symptoms, but will likely also have psychological and emotional problems as well. Detoxing from methadone is best carried out in a treatment rehab centre. Medical staff can help alleviate the painful methadone withdrawal symptoms and make the patient less stressed. Patients who detox under the care and guidance of qualified staff are more likely to carry on with their rehab treatment. They are also less likely to return to the drug before the rehab treatment has been completed. Methadone is already a medication used to treat opioid addiction. The only other drug treatment a doctor may recommend for someone addicted to methadone is buprenorphine. This is a much newer medicine developed to be an alternative to methadone. It is a semisynthetic opioid that produces a lesser high than methadone. However, it has less risk of overdose or abuse. This is important because methadone has an elevated risk of overdose associated with it. However, since a patient might still experience a high on buprenorphine, detox staff at a rehab clinic will give consideration to simultaneous methadone reduction. Even without a medication that directly treats methadone addiction, withdrawal doesn’t have to be a terrible ordeal. Many rehab treatment centres offer medically assisted detox. Medical staff supervise the detox process and are available to provide medication and other interventions to help with withdrawal symptoms. Most or all of the symptoms encountered during methadone withdrawal can be treated with medications, making the process much more comfortable. Clients may be put on a primary regimen of nonaddictive antidepressants. These will have time to begin working properly before the detox starts. Other problems can be treated with non-opioid painkillers, anti-nausea medications, and sedatives. The goal is to make withdrawal as comfortable as possible. It is important to maximise the effectiveness of treatment and decrease the chances of relapse and another period of withdrawal and detox. Therefore the addicted person should attend a comprehensive rehab programme. Many addiction treatment centres have both inpatient and outpatient options. Clients can learn about their illness, attend therapy, and gain the tools necessary to transition back to life without drug abuse. Inpatient treatment refers to the residential rehab programmes in which clients stay for 24 hours per day at the rehab facility, living and sleeping there for a few weeks to several months. The advantage here is that it removes the person from their unhealthy lifestyle, to try to help them reset and have the nervous system return to normal functioning without drugs in it. It can also be helpful to get away from old environments that may contain stressors and craving triggers. Outpatient rehab allows patients to remain at home for the majority of the time and come in a few times per week to attend therapy, support, and skill-building available in inpatient rehab. However, the disadvantages of outpatient rehab are that you do risk being susceptible to the same consequences, risks and triggers in your life that pushed you towards drugs. If you want to become free from methadone addiction or abusing methadone and want help, give us a call now so we may offer you free help and support in overcoming your addiction. We work with rehab treatment providers across the United Kingdom, and we will help you locate rehab treatment that’s right for your needs. The most important thing in recovery from methadone addiction is to focus on taking care of oneself, improving, and healing from the damage done.